A university chancellor has strongly condemned his students as "racist" after seeing a picture of them posted online - wearing a face mask. The two students snapchatted a photo of them wearing a cleansing face mask, swearing at the camera in a "this is how we spend our crazy nights" kind of way. 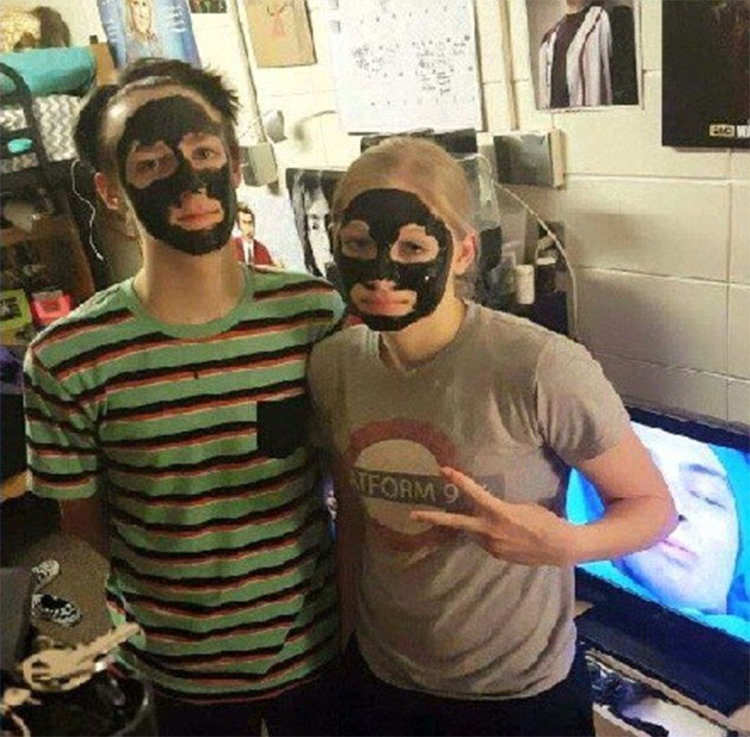 University Chancellor Beverly Kopper took the photo to be of two students "blacking themselves up" and swearing at the camera in a "we're racist and we don't give a sh*t" kind of way. She then went on to condemn the "racism" in a hilariously strongly worded letter to the whole of her university campus. She went on to discuss the incident as though the two were confirmed racists, without bothering to do any further research or attempting to contact the students. Last night a disturbing racist post that was made to social media was brought to my attention. This post was hurtful and destructive to our campus community. While social media can certainly bring about positive change, it can also be a place that deeply hurts and harms others. Tuesday night I held the first of what I promise will be more Pizzas with the Chancellor. Approximately 80 students attended the gathering and, frankly, they shared with me some truly upsetting stories about their experiences on campus including the use of racial slurs and microaggressions. It took courage and strength for our students to share these painful stories in public and I am deeply grateful for their bravery. Some of our multicultural and nontraditional students feel the environment on campus is not welcoming to all. Over and over, the students in attendance expressed their need to be heard and for campus to do more than just talk. These are serious issues that must be addressed. I will have another Pizza with the Chancellor with students at 5 p.m. Tuesday, Feb. 23, in the Hamilton Room of the University Center and will focus on our campus culture. On Tuesday night, we also talked about how each of us has the responsibility to make sure every student, faculty and staff member is respected, heard and appreciated for their life experiences and their differences. We are a stronger campus, a more vibrant campus because of our diversity. As you know, I asked Vice Chancellor for Student Affairs, Dr. Tom Rios to lead our efforts in addressing these issues. He has formed a group that has already begun meeting with students, researching these issues, and working on the development of an action plan for moving us forward. The group has met three times and has already set some plans in motion. Tuesday night our students offered some great suggestions, which will also be shared with the working group. Next week, the working group, along with the vice chancellors and leaders from across campus, will meet to discuss an event that will allow us to capture the student voice and develop a collective response to these issues. I will share details with campus as soon as we have them. Today, a new website will be on the campus homepage that will include an email link to reach the campus culture working group. If you have suggestions, ideas or want to share your story, please contact these colleagues. You have my promise that these steps are only the starting points and together, we will determine actions that will ultimately create a long-term cultural change. I am still reflecting on what happened on social media last night and what I heard Tuesday night. I care deeply about our campus and believe we will come together and create a culture that is inclusive and one where all are honored and respected. Shortly after the post got picked up by the news, Senator Stephen Nass - vice-chair of the Senate University and Technical Colleges Committee - condemned Kopper’s reaction, saying her message “misled” students, parents, and the public by confirming a racist event had occurred, “even though it really hadn’t" after correctly identifying that the students were wearing a face mask. 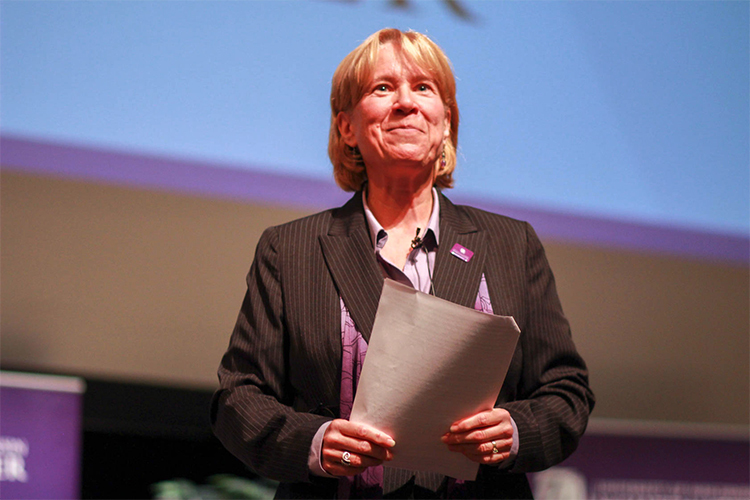 “The racial over-reaction of chancellor Beverly Kopper and other UW-Whitewater administrators without first checking the facts of the situation is a stark example of how political correctness has warped the mindset of highly-educated university administrators. The two students have since not posted any images of themselves receiving any kind of beauty treatment, to avoid any confusion, but insist they only snap-chatted the image to a few friends in the first place, and are confused how it got to the chancellor in the first place.